Hello again! It’s Alicia from The Baker Upstairs, and I’ve got another fantastic recipe to share with you today. 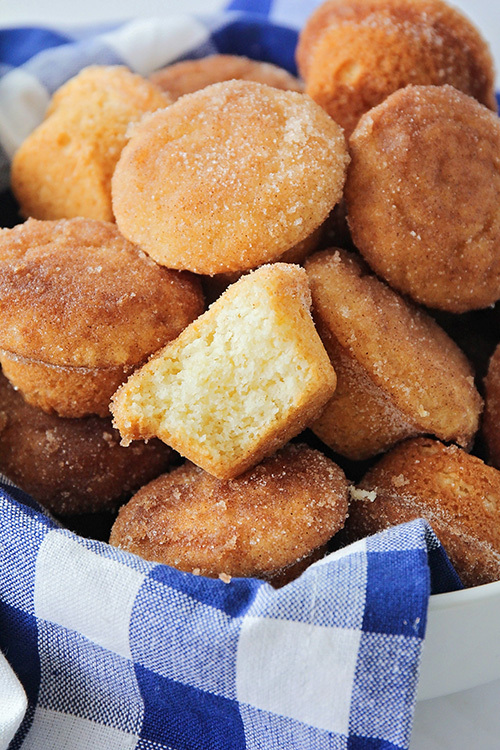 These cinnamon sugar mini muffins are deliciously sweet, bite-sized, and perfect for snacking. 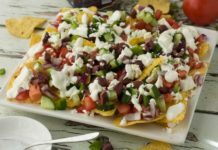 They’re so easy to make, and taste amazing! Since my husband has an abiding love of breakfast food, he usually cooks a big breakfast on the weekends. During the week, we all just grab whatever is easiest, which is usually cereal and milk, toast and yogurt, or simple smoothies. If I’m feeling extra ambitious, I’ll bake something earlier in the week that we can grab for breakfast later in the week. My kids absolutely love muffins, and I love that I can make a big batch ahead of time, and we can munch on them throughout the week. 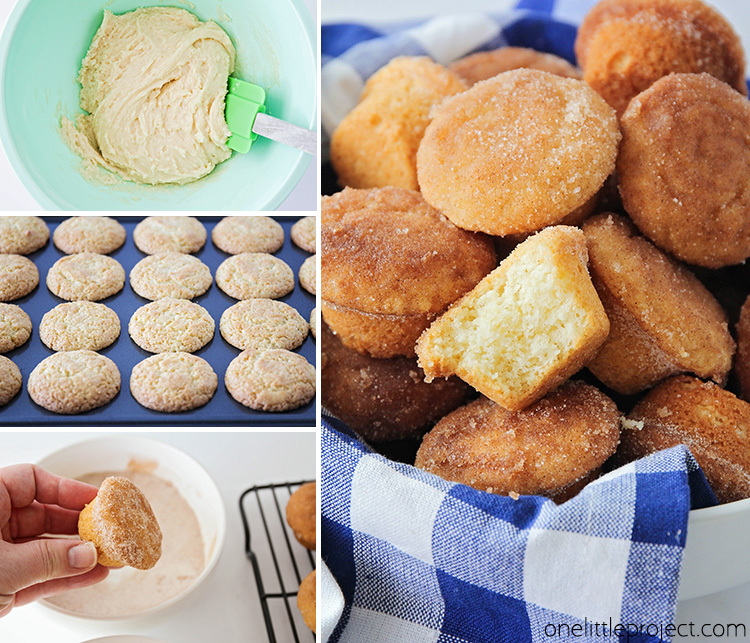 These cinnamon sugar mini muffins are some of our favorites, and I love how easy they are to make. They only use one bowl (so there’s very little mess to clean up), and they’re so simple to make that the kids can help, too! 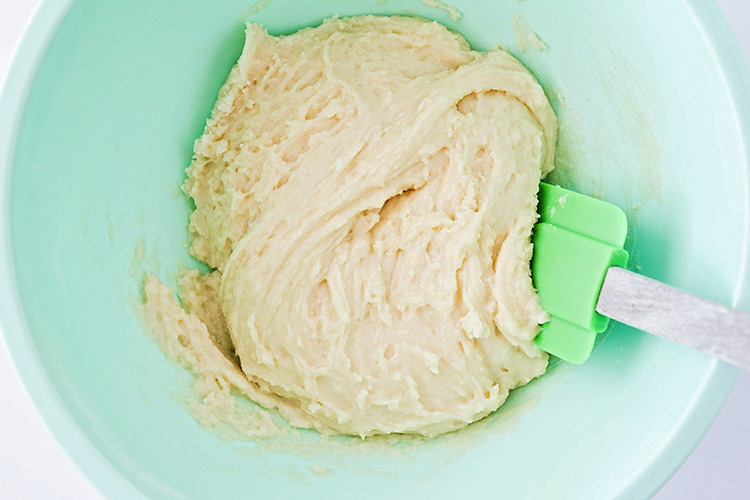 The batter is made of simple ingredients that are nearly always in my pantry and fridge, and I love that you don’t even need a mixer to make it! I like to use a one tablespoon sized cookie scoop to fill up my mini muffin tin. It’s the perfect size to fill the wells in the tin, and it ensures that all of my muffins are a uniform size. 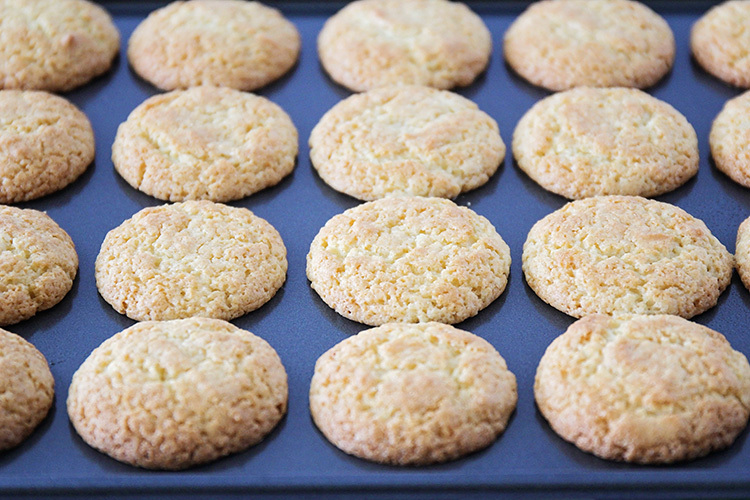 Bake the muffins until they’re golden brown on top, and the tops spring back when touched lightly. Let the muffins cool for ten minutes, until they’re easy to handle. Once the muffins have cooled a little, dip the tops into melted butter, then into cinnamon sugar. 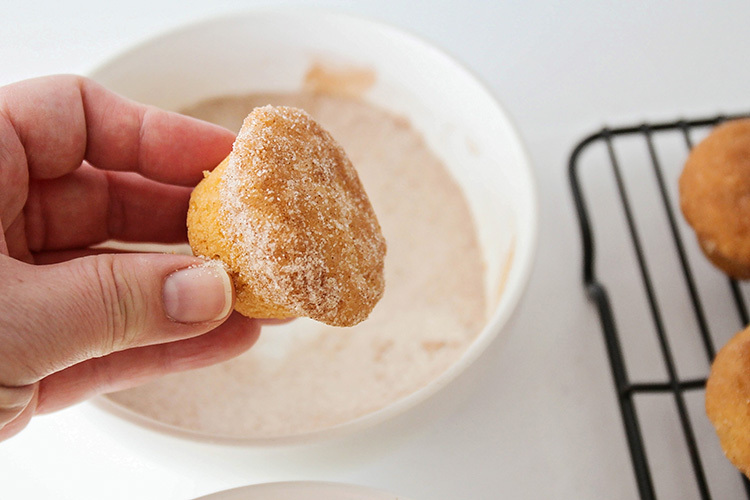 Sometimes when I’m feeling naughty, I dip the whole muffin into the butter and cinnamon sugar, and they taste almost like donut holes. Yum! These muffins are my favorite when they’re still fresh and warm from the oven. Because they’re so little, it’s way too easy to eat way too many of them in one sitting! These cinnamon sugar mini muffins are so light and fluffy, and the buttery, cinnamon sugar topping is to die for! They will almost certainly disappear quickly, but if you happen to have any leftovers, you can store them in an airtight container for 3-4 days. 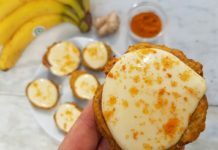 My kids love to eat these muffins for breakfast or snacks, and they’re also fun to pack in their lunches for a sweet little surprise. We love these muffins! Preheat the oven to 400. Grease a mini muffin tin and set aside. In a large bowl, whisk together the sugar, flour, baking powder, and salt. In a small bowl or measuring cup, whisk together the oil, egg, milk, and vanilla. Pour the wet ingredients into the dry ingredients and mix until just combined. 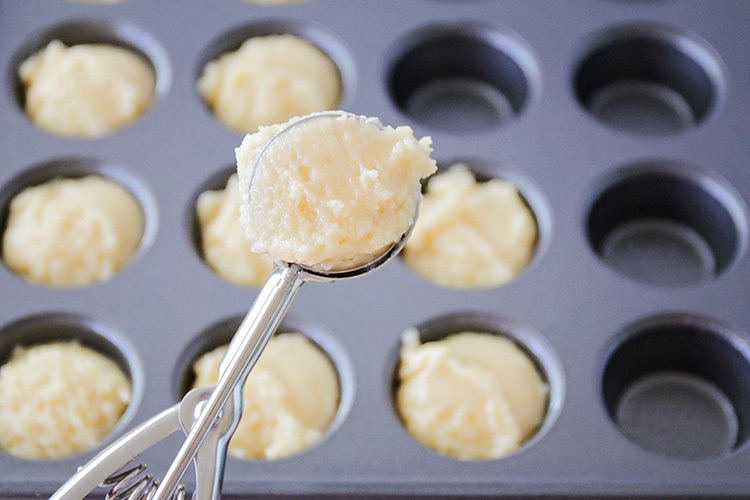 Scoop the batter into the prepared muffin tin, filling ¾ full. Bake 12-15 minutes, or until light golden brown. Remove and let cool for 10 minutes. After the muffins have cooled, dip the top of each muffin in melted butter, then in the cinnamon sugar. Serve warm. 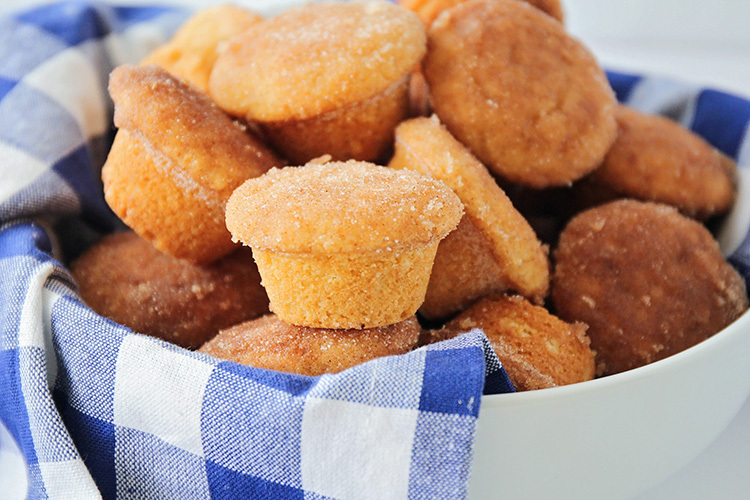 These bite-sized cinnamon sugar mini muffins are so sweet and delicious! They’re so light and fluffy, and dipped in cinnamon sugar for extra flavor!